Galleon - 303 (30675) Fabric Stain Guard And Protectant For Home Interior Fabrics, Cushions, Upholstery And Carpets, 16 Fl. Oz. 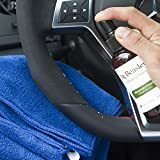 303 (30675) Fabric Stain Guard and Protectant for Home Interior Fabrics, Cushions, Upholstery and Carpets, 16 fl. oz. You're most likely familiar with 303 Fabric Guard, designed to keep your outdoor fabrics water repellent and stain resistant. But now, there's a product to keep your indoor fabrics protected too! 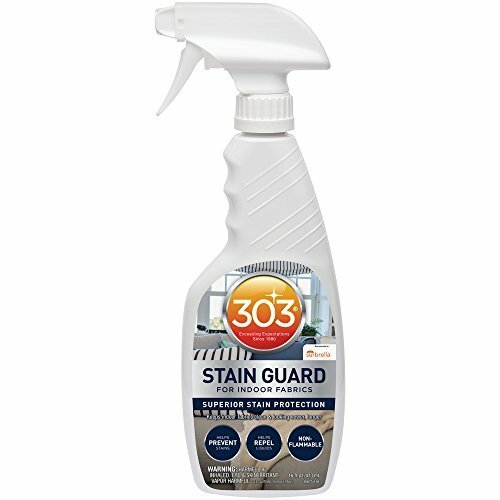 So whether you have kids, pets, or hosting your next wine tasting, be sure to use 303 Stain Guard for Indoor Fabrics for the ultimate protection! 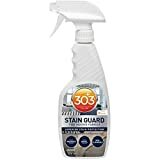 303 Stain Guard for Indoor Fabrics helps prevent stains and repel liquids caused by: food, wine, soda, juice, kids, pets and everyday dirt and mud. It is recommended by leading fabric manufacturer, Sunbrella, to restore lost stain resistance on fabrics. Unlike other products on the market, 303 Stain Guard for Indoor Fabrics is non-flammable, and has no harmful fumes. Rain-X 620035 Upholstery Repel Guard - 12 Fl. Oz. 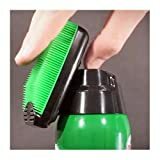 Dr. Beasley's I14D32 Microsuede Cleanser - 32 Oz.